One of the strongest couples on the current season of Dancing with the Stars just can’t seem to get a break. 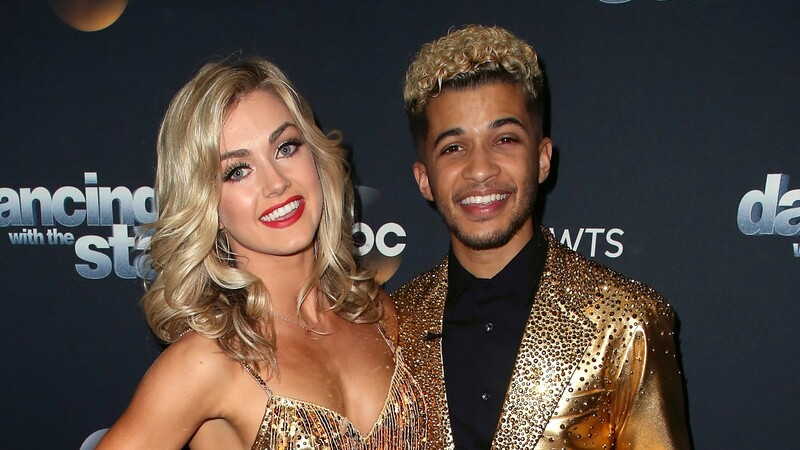 Only days after pro Lindsay Arnold revealed she’s recovering from a potentially serious knee injury, her celeb partner, Jordan Fisher, was forced to quit rehearsal early to get treatment for a scratched cornea. During Monday night’s semifinals, where he and Arnold pushed through their respective injuries to nab the only perfect score of the night, Fisher revealed to host Erin Andrews what he was struggling with. It’s common for a few celebs and pros to sustain injuries during the brutal rehearsal schedule DWTS requires, but this season has really taken no prisoners. Just a few weeks ago, a rib injury threatened to sideline violinist Lindsey Stirling, and in rehearsals before the season premiere, Property Brothers‘ Drew Scott injured his hamstring. We’re going to need everyone on DWTS to be more careful from now on, thanks.